In 21 case studies, the EUKI project BEACON evaluated national climate policies in European countries. 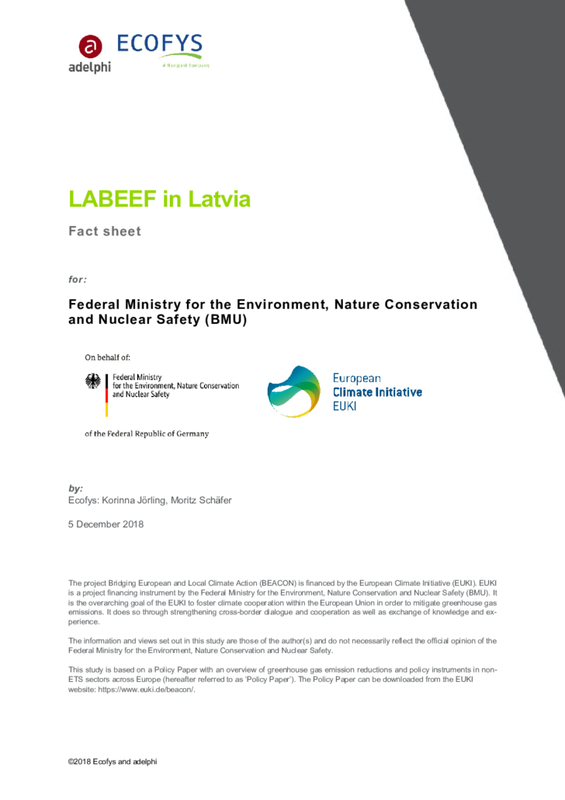 The Latvian Baltic Energy Efficiency Facility (LABEEF) is a company that was founded in 2016 to facilitate the deep renovation of the Latvian housing sector, which is dominated by prefabricated high-rise buildings erected between 1941 and 1992 during era of Soviet occupation. LABEEF aims to support energy service companies (ESCOs) that implement renovation measures in multifamily buildings based on energy performance contracting (EPC).